Wageloch eliminates the need for paper timesheets. Using modern scanner technology, a digital timesheet is automatically created for each employee, based on integrated clock in, clock out and award data. Employers simply view and compare the clock times to the roster times on one screen, and choose how they wish to pay their employees. The creation of automated electronic payroll timesheets ensures that no data entry is required and allows you to streamline your business. Additionally, Wageloch provides one-click submissions of timesheets to payroll. Timesheets can be quickly organised and generated as a file for payroll companies or fed directly into most major self-managed payroll systems. WageLoch offers integrated solutions for MYOB, Xero, Reckon (And More), and provide assistance to manage this process. 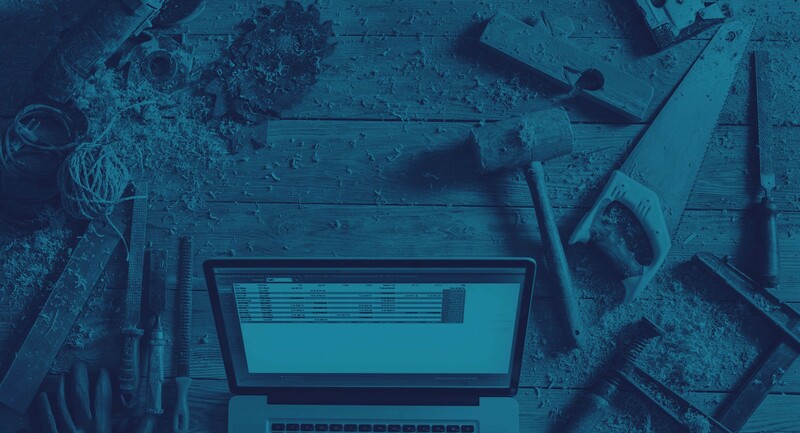 Seamless, digital integration removes the significant time lost from manual data entry, eliminating the frustrating and costly mistakes which can occur during this process. 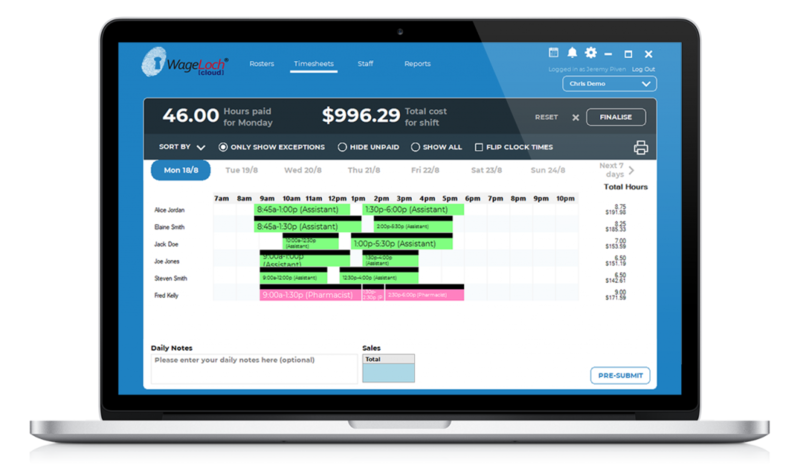 The WageLoch software allows businesses to easily manage employee timesheets and payroll through a single, digital platform. By combining attendance software with automated timesheets and an integrated payroll solution, businesses can streamline staff roles and eliminate unwanted data entry. Employee award data can also be programmed into the system to enable easy visibility of labour costs and tasks.